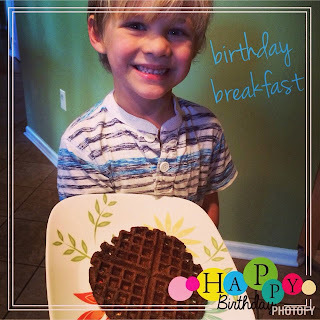 It's my lovable, kind-hearted, rambunctious third child's 6th birthday & he requested waffles for breakfast. I surprised him with chocolate waffles - I typically have a "no chocolate for breakfast" rule, but you only turn 6 once, so I went for it. Little does he know, I cleaned up the recipe! 🔄Combine all ingredients in a large mixing bowl until the batter is smooth. ▶️Follow the manufacturer's directions on your waffle iron for the amount of batter & cooking time for each waffle. For more healthy recipes your family will love, click here.